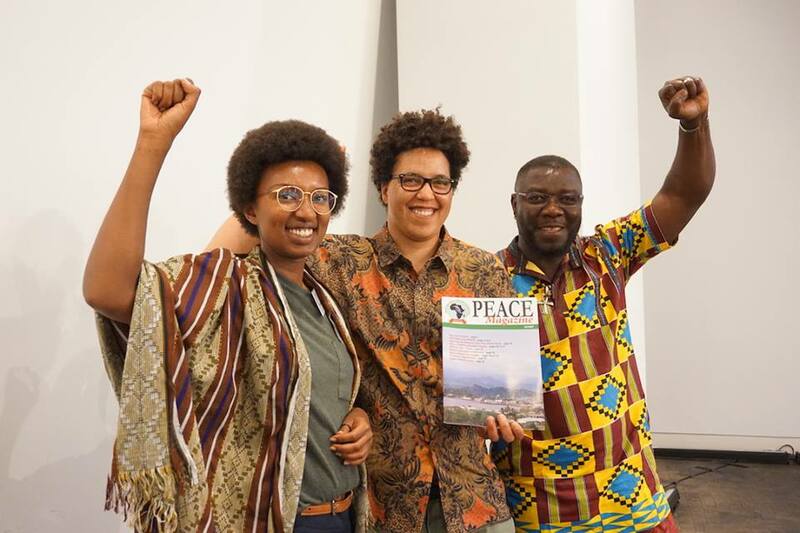 Article by Mbolo M. Yufanyi (Community Organiser), for PEACE. 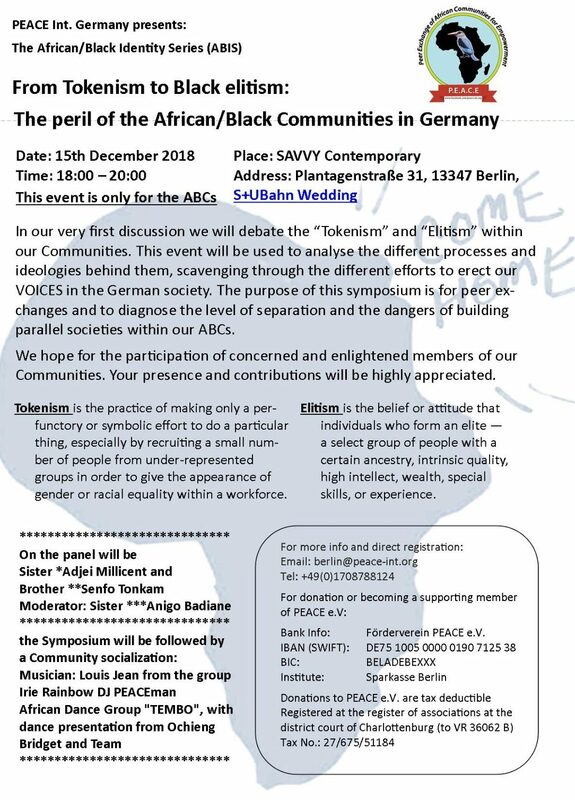 Many of us Africans in the Motherland and in the Diaspora have or are becoming aware of our critical history and do promote our ensemble of African Cultures. This is a positive development especially that in the last century, we have been doing everything to exemplify imposed foreign cultures, religions and way of life. Nevertheless, this development is with a lot of challenges. Being AWOKE does not necessarily mean being ready to act in the general interest of the African people or conscious of the populace that needs to listen to us and the platform in which we engage. Part of the challenge has always been the platform in which we carry out our activities. This is challenging because we have not been able to establish strategic structures and institutions that are completely Afrocentric, Pan-African, accountable and answerable only to the African people. The platforms that are traditionally used to teach and spread our critical ideologies and visions have been and are still controlled by the very same people that have at least in part been, responsible for our continuous demise. Many a times, we engage the wrong populace, begging for acceptance or attempting to call on their morals in order for them to change from their crimes they have been committing for centuries. 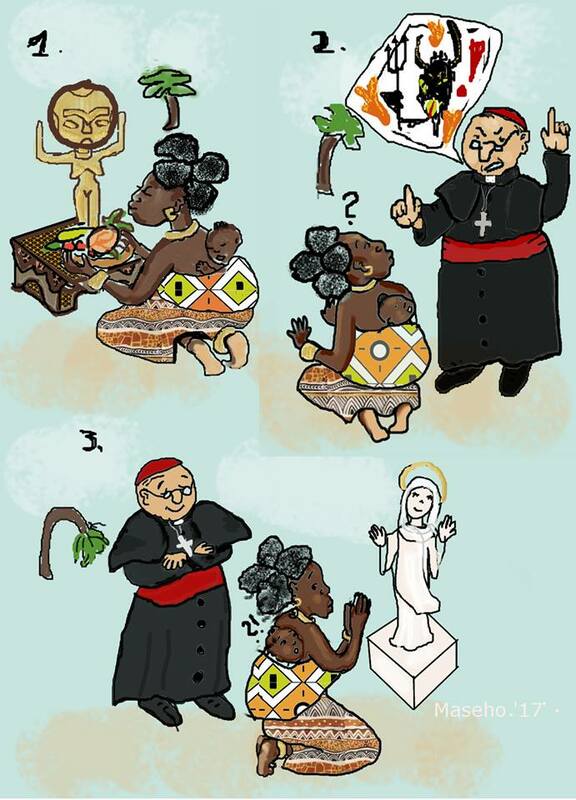 Our Religions are either Eurocentric, Arabocentric or Judocentric, with sources of power still concentrated in the former colonial Metropolises. Our traditional forms of spirituality and Beliefs have been almost obliterated. Our schools and Universities are Eurocentric. Our economic systems are everything but Afrocentric or Pan-African. Because we were forced into foreign languages, our own languages and social systems are dying out. Take an example; We built Europe and America and we died in millions when we were kidnapped and enslaved in the Northern Hemisphere and genocides were unleashed on us when we fought against our being colonized. Yet, on a superficial level the genocide of the Jews during the World war II are still considered the worst things to have ever happened to the human race. The West is prosperous today because of our sweat and blood, bodies and souls but yet, we cannot stay peacefully in the West without being killed on a daily basis. 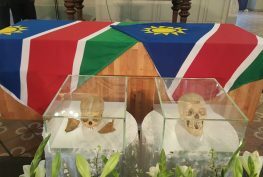 We are killed in the Mediterranean Sea in our thousands even though we are claiming the same rights that the White Europeans claimed when they travelled to our continent before enslaving and colonising us, the right to discover the World. Many Africans and the world know Adolf Hitler for his atrocities against the Jews and Humankind more than they know King Leopold of Belgium or Cecil John Rhodes of South Africa, who massacred Africans in their millions in the Congo and the southern African regions respectively. On the contrary, they get museums and universities named after them in honours. 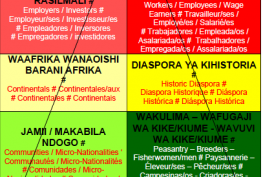 A great percentage of us do not even know the history of the different exit ports like BIMBIA in postcolonial Cameroon from which our Ancestors where kidnapped to slavery. When we mention slavery or colonialism it is quickly swept under the carpet and to make matters worse as African/Black people, there are a lot of self-designated leaders who turn to speak on our behalf and in isolation, with little or no connection to the African Communities’ genuine priorities. Most of the time, Slavery is regarded as a problem of the past, at most an issue of Africans in the Diaspora especially those with enslaved African ancestry. Africa does not seriously air its disapproval of it at the international courts or other international institutions. 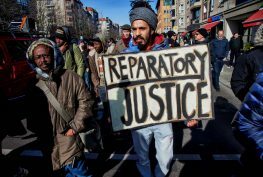 In fact, of all the people that have been enslaved or upon which genocide has occurred, we are the only ones that reparations have not even left the gates of casual discussions, not to mention paid to. The genocides are still ongoing and we all know they have the records. African governments and parents outside the continent need to make sure there is a very detailed teaching of African history and that is including putting religions under scrutiny since this was one of the main instruments used to destroy our cultures and spirituality and is still being used to override our need to understand where we are from and what we really stand for. To advance this awakening process, we need to build our own platforms. We need not only to be politically but also economically strong. Though we have centuries of abuse, kidnap and torture behind us, of which scars are still deeply engraved on our bodies and souls today, we need to ORGANISE not only AGONIZE. We need to LEAD not MISLEAD, UNITE not DIVIDE, BUILD not DESTROY and TRUST not DISTRUST. We need to build on the things that unite us as Africans everywhere, be Africans first and foremost and grow together as Africans and not alone as individual Black people. 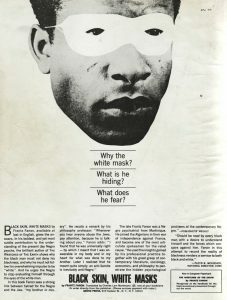 In his 1952 famous book “Black skin white mask”, Franz Fanon wrote that, “The colonized is elevated above his jungle status in proportion to his adoption of the mother country’s cultural standards.” Also in “Toward the African Revolution (1967)”, he wrote that, “Having judged, condemned, abandoned his cultural forms, his language, his food habits, his sexual behaviour, his way of sitting down, of resting, of laughing, of enjoying himself, the oppressed flings himself upon the imposed culture with the desperation of a drowning man.” These are very important features that should always remind us where we stand and how we fit. It has to be about us because we are always going to be judged by how we fit in our mother ship. We cannot and should not enjoy what we did not sow, for it will not be sustainable. We should plant the species of trees of our visions and dreams so we don’t only enjoy the sheds of other peoples’ trees but the pride of watering those tree species that will make our prosperous forests for generations to come. Peer Exchange of African Communities for Empowerment – PEACE has embarked on creating this space, a platform and network with objectives to establish strategic structures and institutions that are completely Afrocentric, Pan-African, accountable, answerable only to and act in the general interest of the African people. 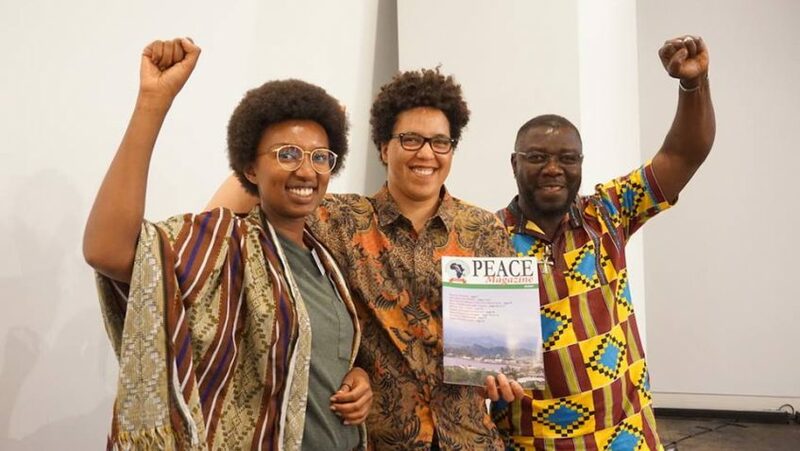 This is the background understanding of PEACE and is part of our “modus operandi”, while fighting to reach our specific objectives cumulating to the total liberation of Africa from the grip and dungeons of its enemies and for a dignified African Restoration. Fanon, Frantz, and Charles Lam Markmann. 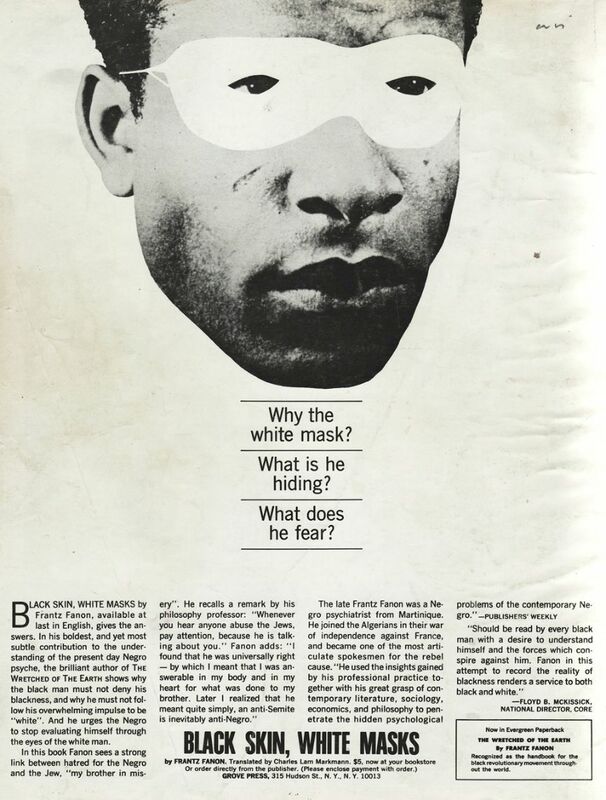 Black Skin, White Masks. 1967. Fanon, Frantz. Toward the African Revolution: Political Essays. New York: Grove Press, 1969.